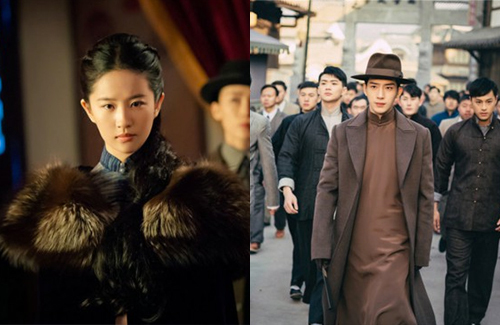 Crystal Liu’s (刘亦菲) comeback television drama Records of the Southern Mist House <南烟斋笔录> has entered its final filming stage. Co-starring Jing Boran (井柏然), Zhao Lixin (赵立新), Wei Daxun (魏大勋), Liu Mintao (刘敏涛), Jin Hao (金浩), and Kristy Zhang (张含韵), Records of the Southern Mist House is adapted from the manhua comic of the same name, and centers on the successful city woman Tang Man, who discovers a mysterious old book during one of her trips back home. 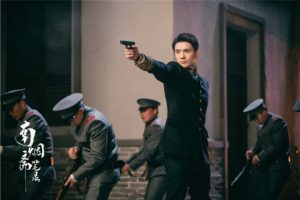 Principal photography began in December 2017 and is projected to end in a few weeks. It’s been over ten years since Crystal has last starred in a television drama. Her last drama was 2006’s Return of the Condor Heroes <神雕侠侣>, in which she played Little Dragon Girl. 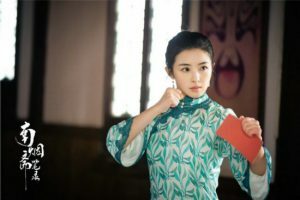 The studios have finaly released official set photos from Southern Mist House, featuring Crystal in a sophisticated qipao dated back to the early 1900’s in Republican-era China. 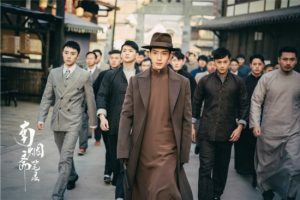 Boran wore a fitting changshan that complements his role as an educated, hot-blooded youth of 1920’s China. Daxun plays a young physician who practices western medicine. Kristy plays a young woman who is adept in martial arts. 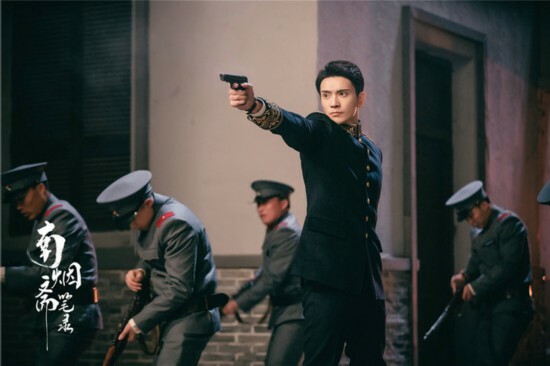 Jin Hao looks suave as a military general. I really hope that vanity of hers is now fixed and she’s actually capable of producing emotions. 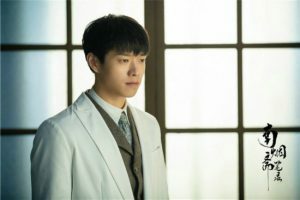 otherwise this is a drama to pass on, no matter how great the cast. @littlefish yup! 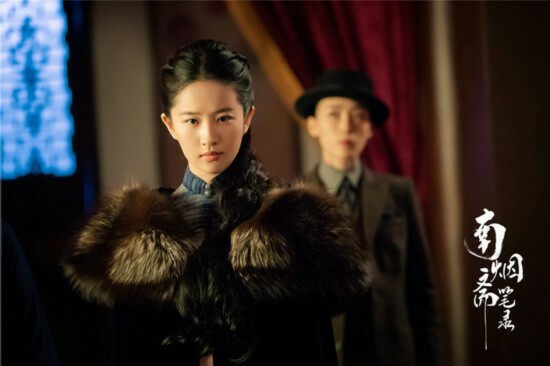 this article sums up everything about her that makes her a terrible actress: https://quartzy.qz.com/1142658/imdb-rating-disneys-pick-for-mulan-liu-yifei-is-one-of-chinas-worst-actresses/. sometimes a pretty face can be one’s worst insecurity and downfall, especially if one expects to rest on this laurel for life. @coralie What amazes me is how she has managed to come this far by purely relying on her (average) looks alone, because let’s be real… this girl has the emotional range of a sandwich! It boggles my mind that she’s often hailed as one of the most attractive celebrities in China. Take off the make-up and there’s nothing about her that will set her apart from the average crowd. Personality-wise, she’s about as interesting as a piece of cardboard. She’s the definition of a “Plain Jane”. Some people are just born lucky, I suppose. She has one heck of a manager (her mom? ), I’ll give her that. She is beautiful, look at the picture above, it looks like very little to no makeup and… sure she looks cold and aloof but overall she is still pretty. There are way way worse actresses than her and are even more popular because they are plastic everywhere. Take out their milky white skin and will they look good with the yellow asian skin like above? At least LYF is natural. At least she also did not go slice her chin sharp, and go stretch her eyes to the size of exceedingly gigantic huge ridiculous anime eyes right? @plaru I’m an equal opportunist hater. I say the same stuff about the actress regardless if she’s had plastic or not, based off her talent and works. Her looks aren’t the main concern here. It’s because of her expressions (or lack there of) that ppl don’t like her. Angelababy has the same reputation around here as LYF. @plaru Yeah, sorry, but she looks very boring to me in the above photo. If I saw her in the streets, I wouldn’t look twice. Going purely off looks, the girl in the last pic has more appeal to me than her, but that wasn’t the point. The reason I brought up her looks is because the general consensus is that she cannot act… which means her popularity is mostly due to her appearance (a big head scratcher for me). Now if she had any real talent or personality, then there would be less room for critique. Tang Wei & Zhou Zun, for instance, are average-lookers whom I enjoy watching more than her, due to their ability to emote. Baby Zhang is very pretty. It’s quite sad, I think people find her waist big or fat so she didn’t get that many opportunities. Her singing is decent too, and I also like her acting. I like both her looks and talents. from Chinese Ghost Story to White Vengeance, then The Four, and another The Four II, then Love or Money, etc. They are pretty much all the roles of a very mature, quiet, and pretty lady. But most importantly is actually that the stories always so slow and not fast paced. I can really care less if anybody just want to choose the same character over and over, but the story must be interesting though. She just need better movies. @plaru i just saw her recently in 3L3W’s movie. Nope, she’s still emotionally detached. That role gave room for showcasing emotions, but she still didn’t manage to evoke any feelings in me. She’s too bland.